One of the craziest times of the year is during this end of January beginning of February span. It’s a holiday palooza that no one quite grasps unless they have lived it, taught it, and most of all planned and disciplined it. 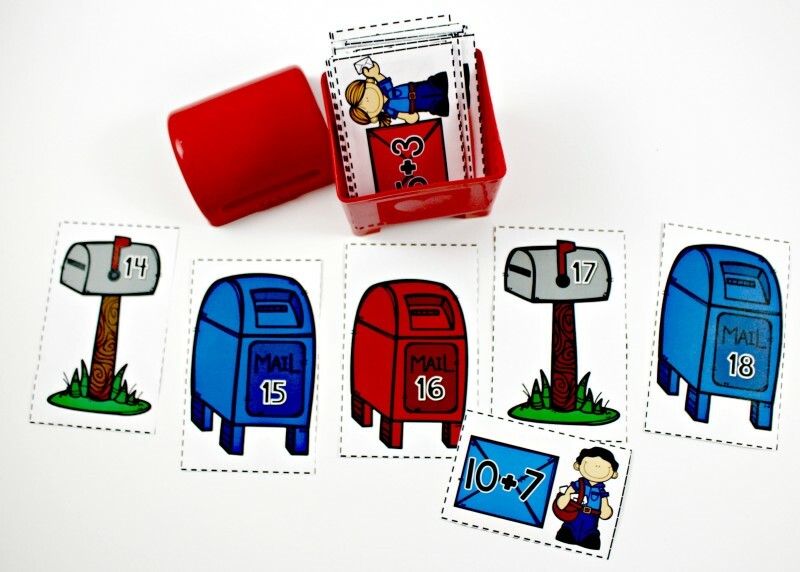 It’s easy to get caught up in all the fun and feel the need to do special and or elaborate lessons because a groundhog popped out of the ground and 100 days have rolled by. I am all in. I did it too. But it can wipe you out! It has that tendency to leave you less than excited to lesson plan a regular week of school sans 3 assemblies and 2 parades. 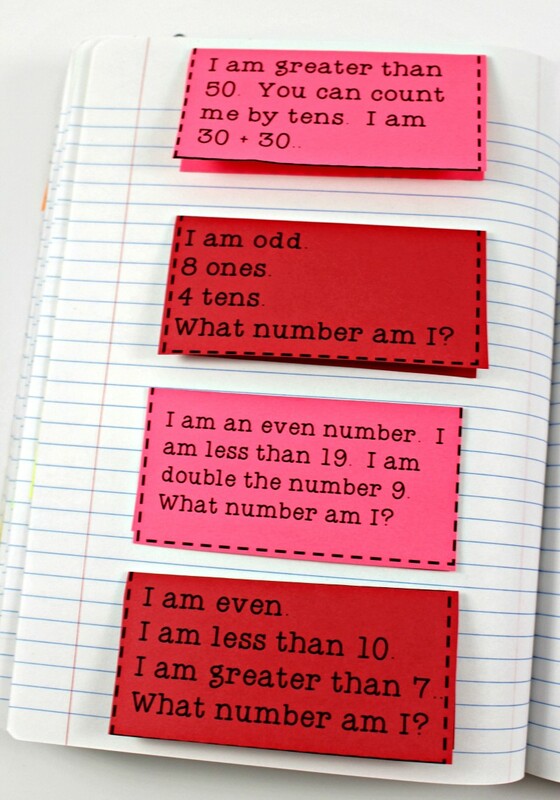 Here are some resources to fill your math block with fun and festive standards based learning! 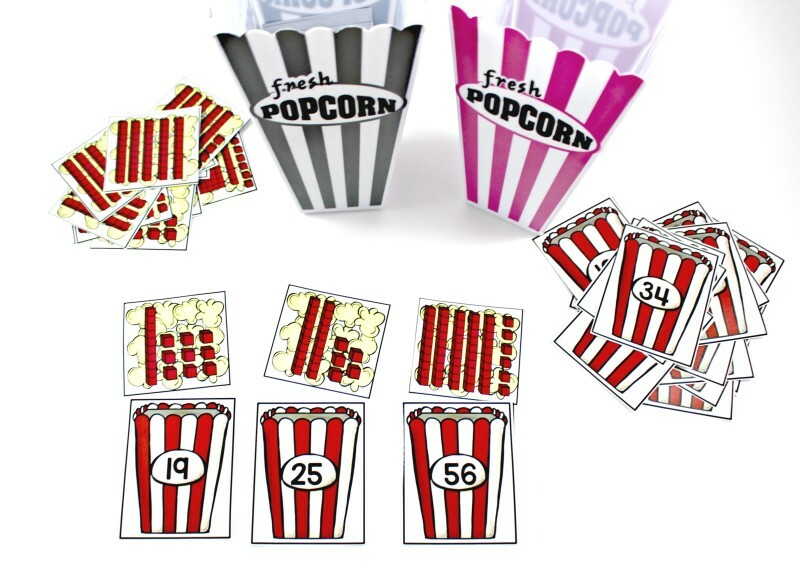 They are fun, festive, and most of all standards based for your sanity! 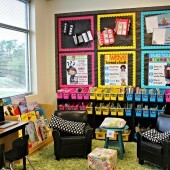 This center has two different activities available. 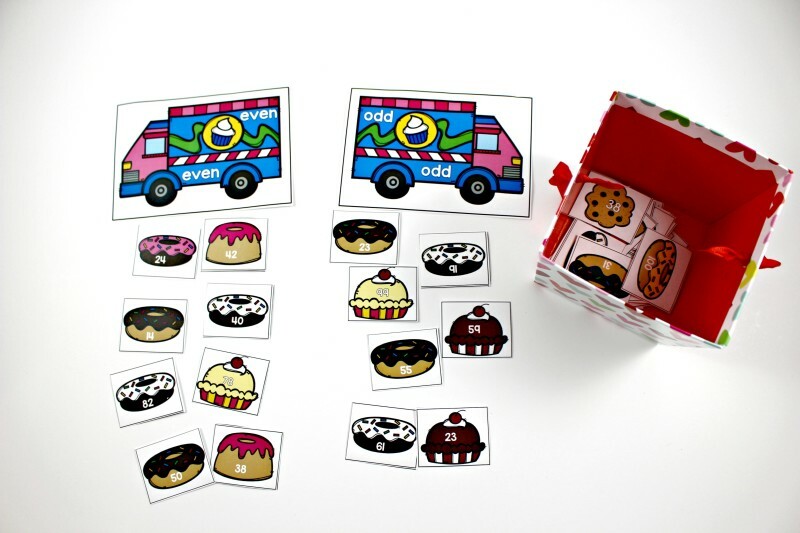 First students can sort the numbered treats by even and odd and “load the truck” for the bakery. 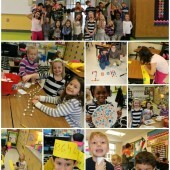 Second, students can put each type of treat in order from least to greatest or greatest to least. 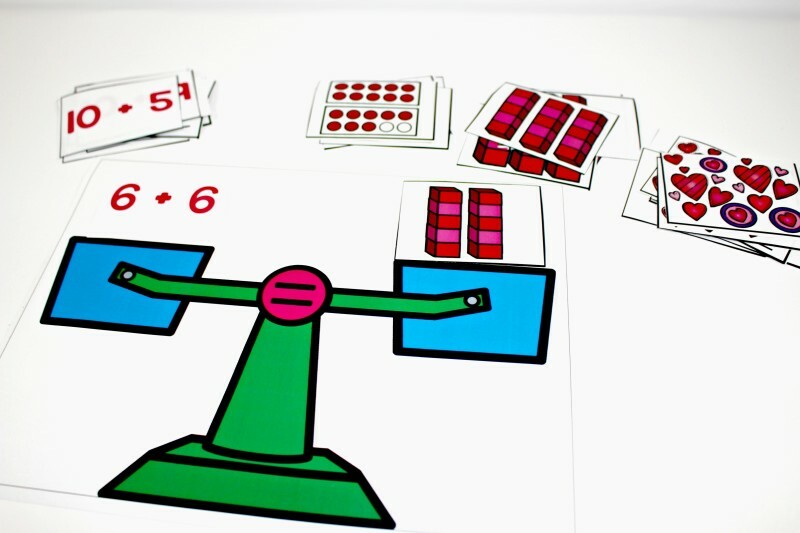 This lesson can be done with a real class balance or as you see it here with the paper balance. 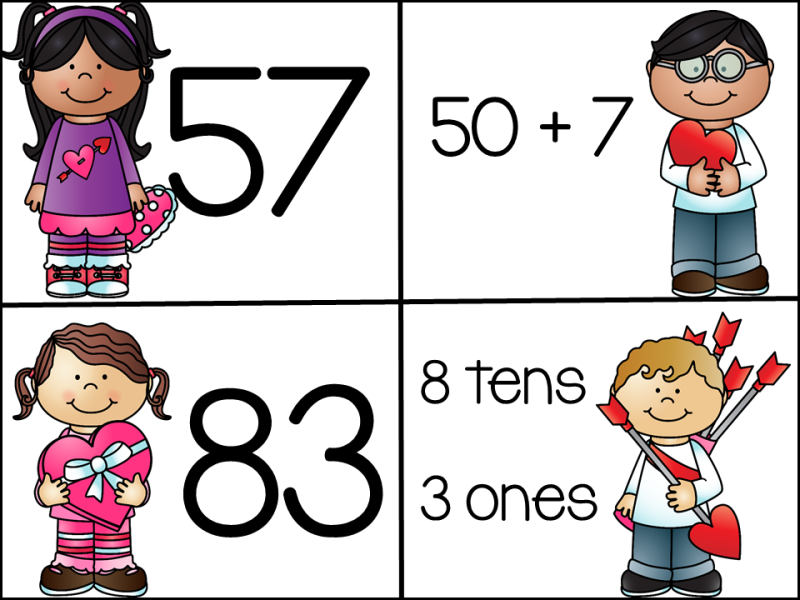 Students must balance across the equal sign by matching number sentences with the sums in three different forms. 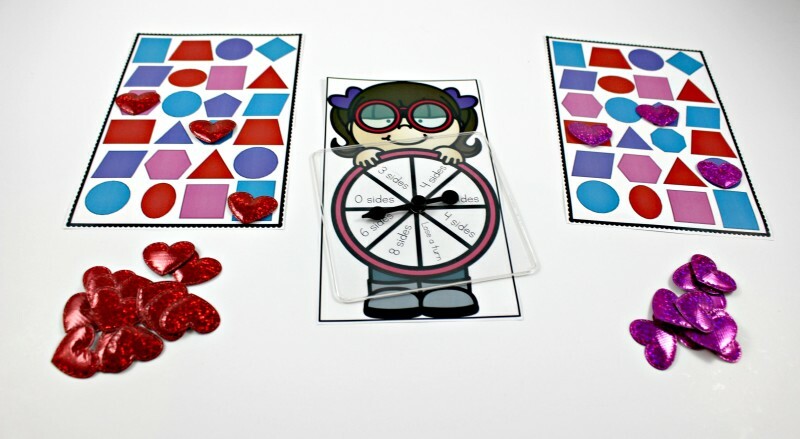 Games have always been a favorite choice for my students during guided math! 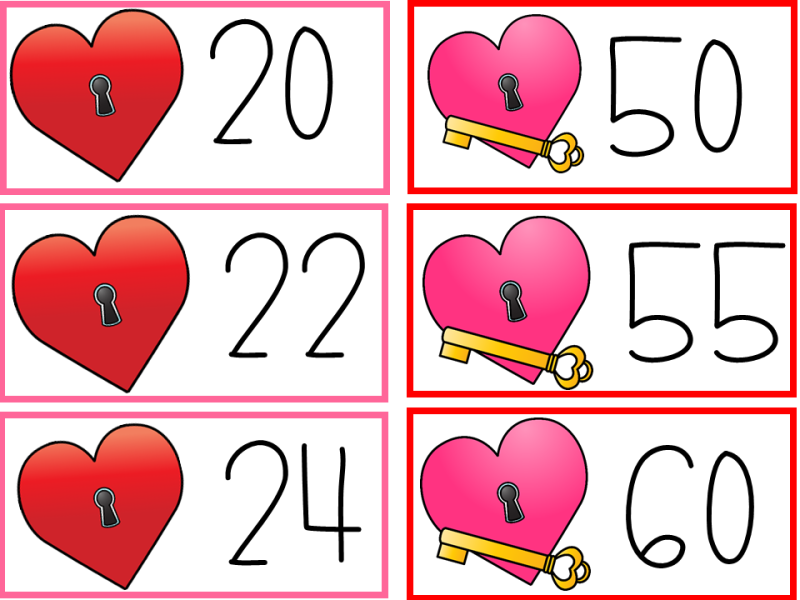 In this game, students roll two dice, then can either add or subtract the numbers to be able to cover the answer on their heart stopper strip. 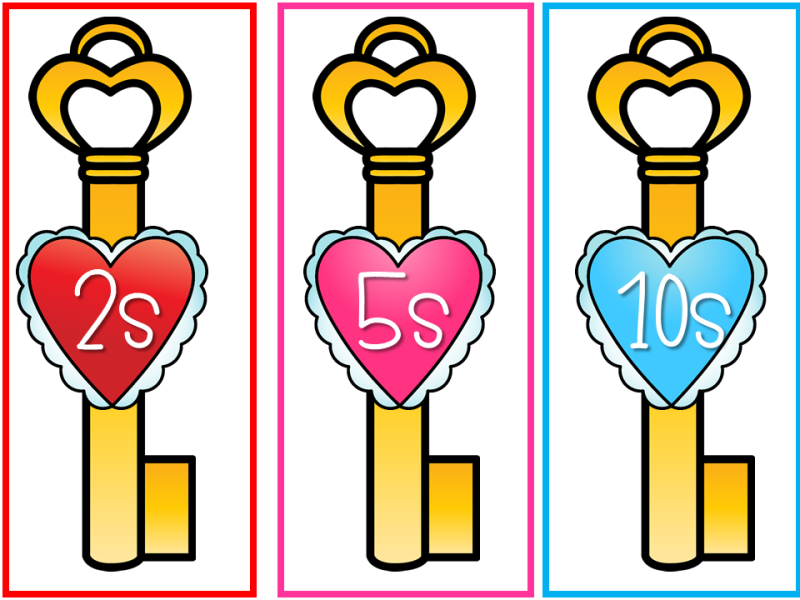 The first student to cover all the hearts wins! 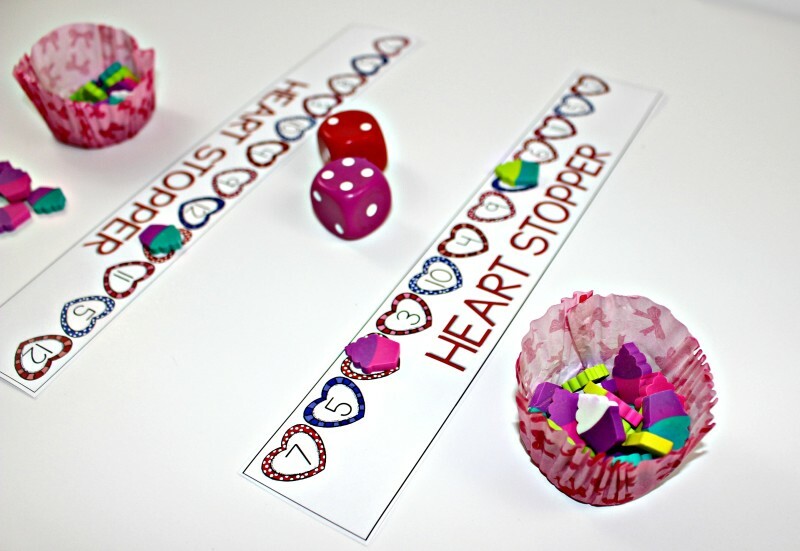 In my class, since my rotations were timed, the student with the most hearts when the timer went off is the winner. Talk about keeping kids focused. Let the timer do it for you! 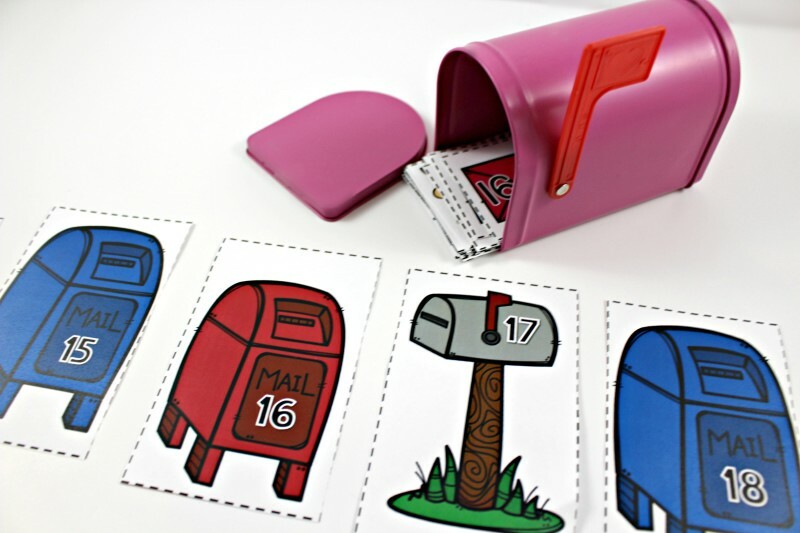 Students deliver the letters to the correct mailboxes by adding and subtracting. Here’s another fun game! 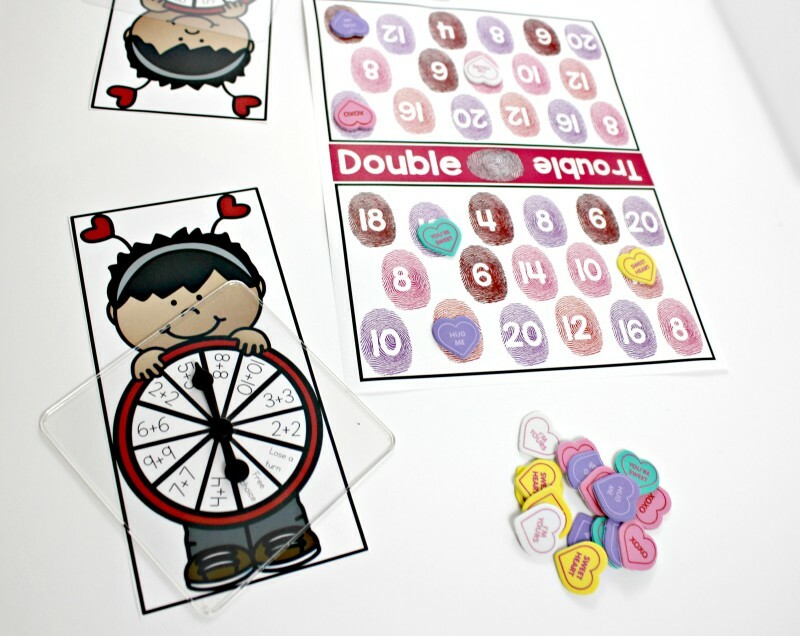 Students take turns spinning a spinner, adding a doubles fact, and then covering it on their side of the mat. 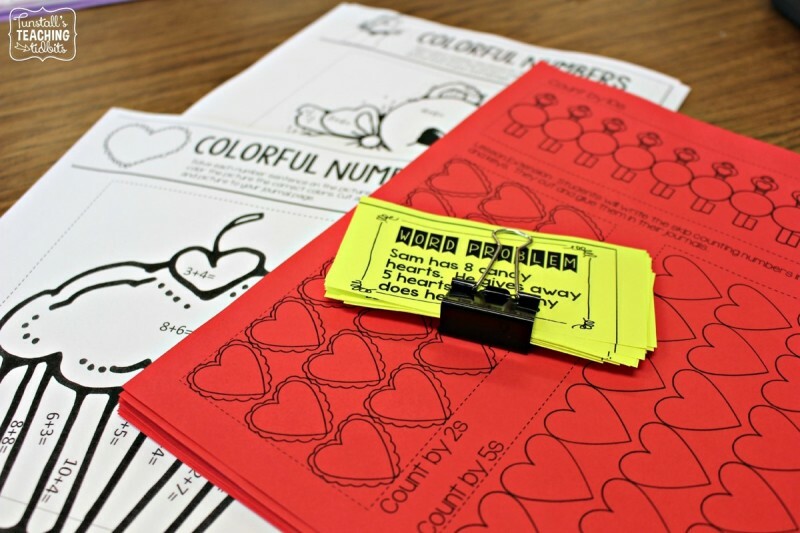 Like in the game above, students win by covering the thumbprints or by having the most covered when the timer goes off. This game is a similar concept. 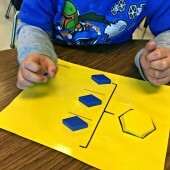 Students each have a shape board. They spin and cover. I have two spinner options. One has number of sides and one has shape names. 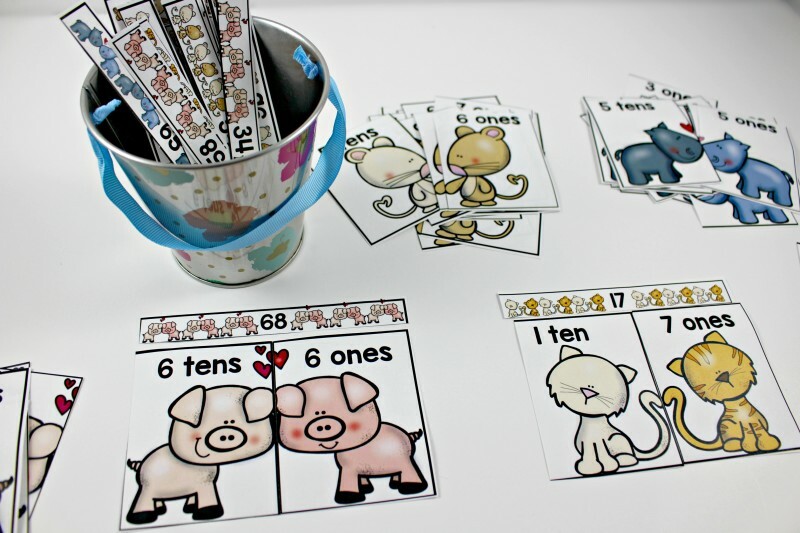 This adorable center is all about matching up a three piece puzzle to bring two little critters together! 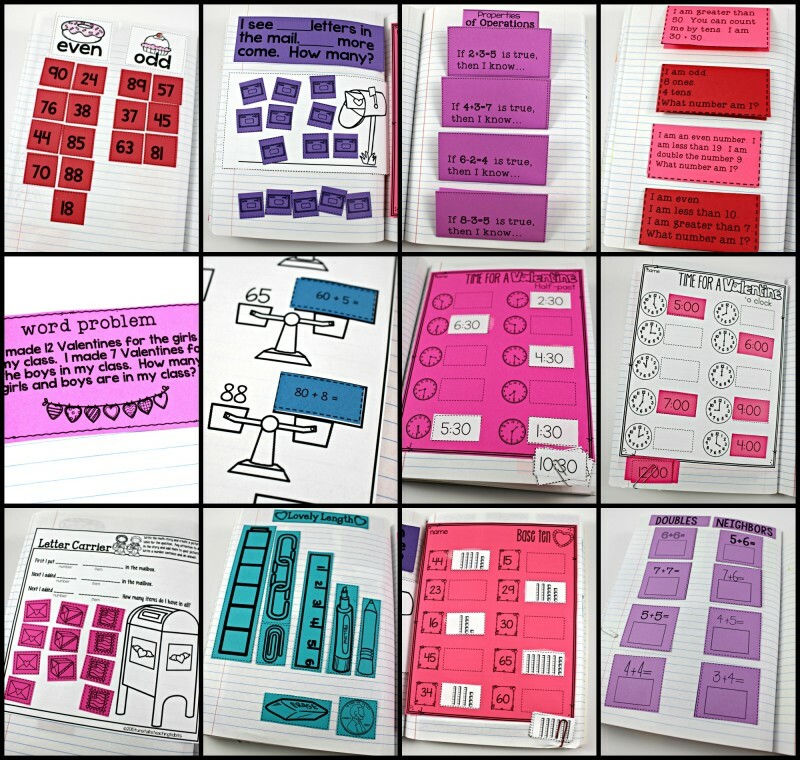 Students take a two digit number strip and find the matching tens and ones to place underneath. This center is done two ways. 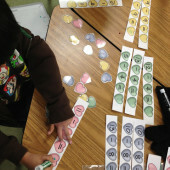 First students measure with candy hearts, and then place all the items measured in order from greatest to least or least to greatest by length. 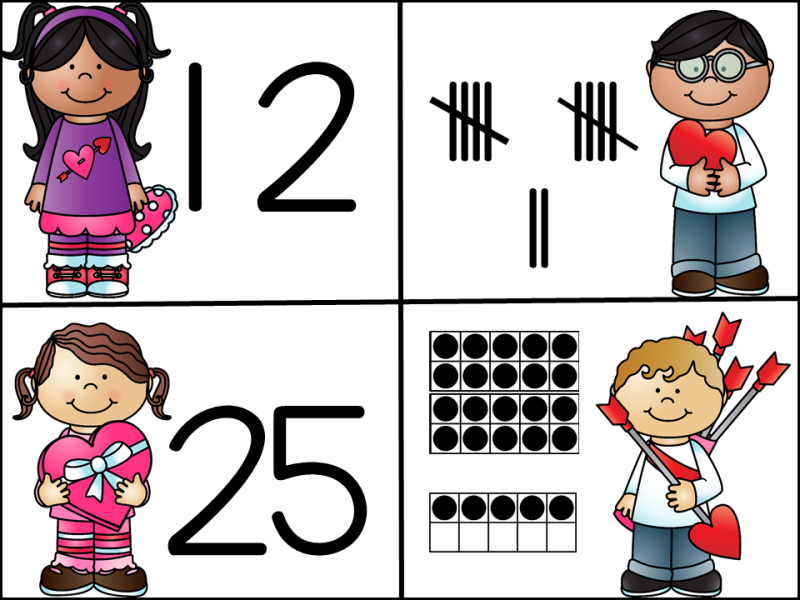 Centers keep math humming, but we also need independent practice too! 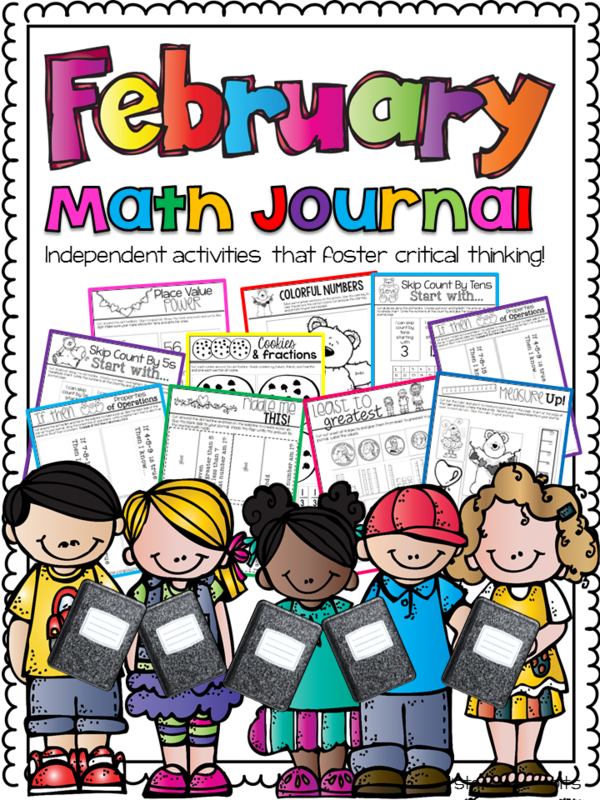 Here are some of the February math journal activities out of our example journal. 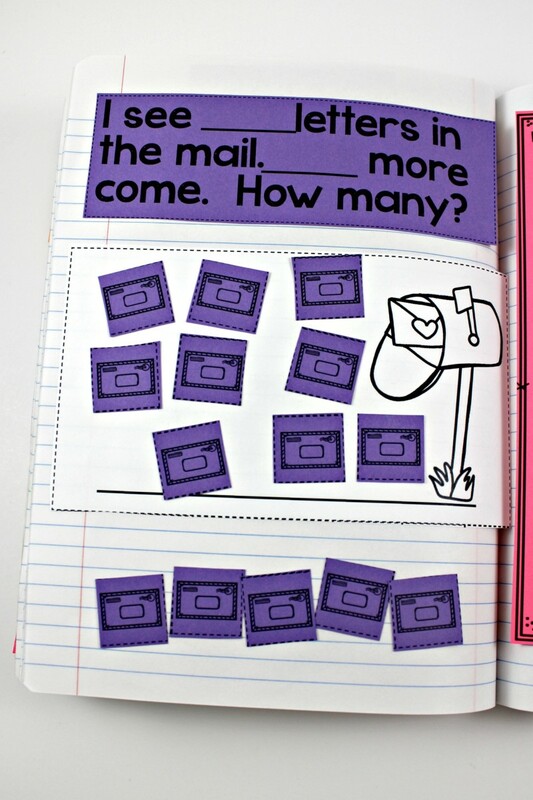 I know you can see that I love using Astrobrights paper to make the activities pop off the page! 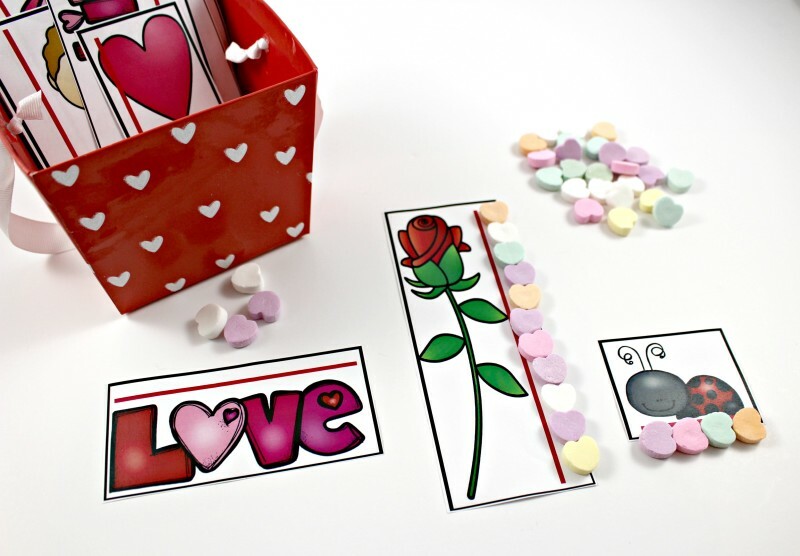 The paper used for these examples can be found here on amazon. 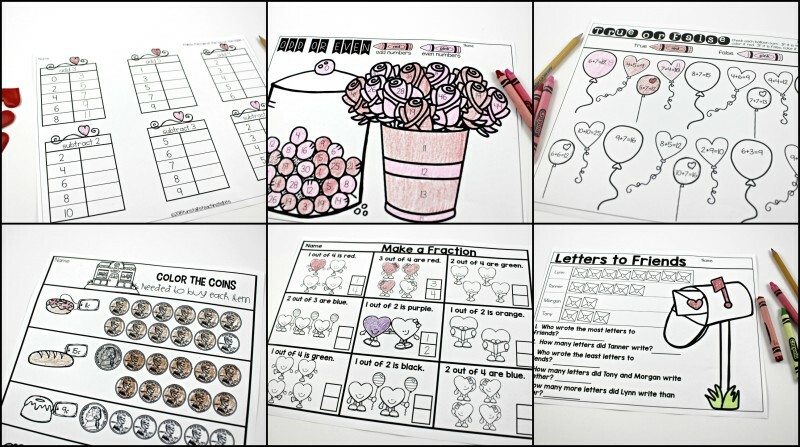 If your kids love the pocket chart as much as mine did, these are crowd-pleasers! 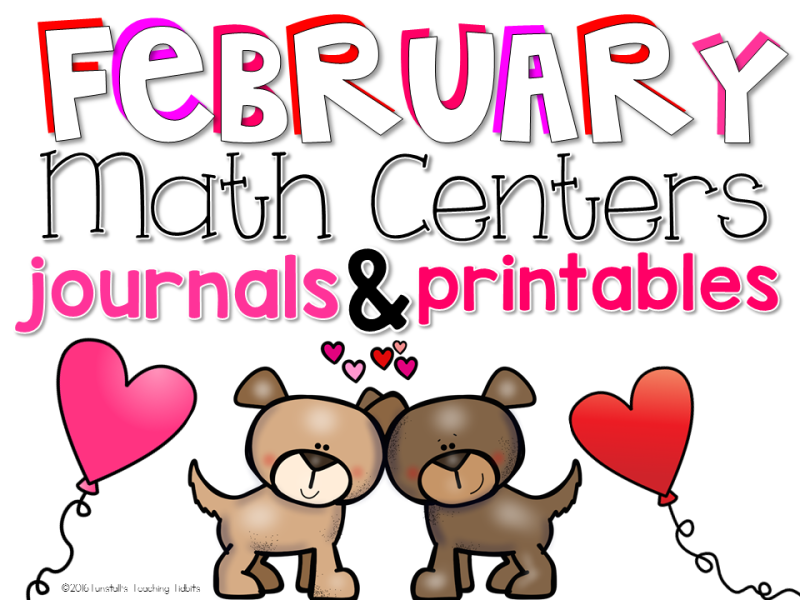 Hopefully you will find some February FUN and I will pray for these next two weeks to be very kind to your dear teacher heart!!!!! Where did you get those spinner things?! So cool! So much tidier than pencils and paperclips flying everywhere!